Jason M. McHugh, DO, CAQSM is board certified in Family Medicine and Osteopathic Manipulation with a Certificate of Added Qualification in Primary Care Sports Medicine from the American Osteopathic Board of Family Physicians. He received his bachelor of science in biology from the University of Michigan in Flint, Mich. 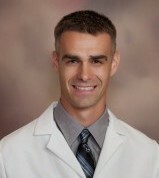 He earned a doctoral degree in osteopathic medicine from Michigan State University College of Osteopathic Medicine in East Lansing, Mich., and completed a residency in family medicine at the Genesys Regional Medical Center in Grand Blanc, Mich. Dr. McHugh did his fellowship in primary care sports medicine at Michigan State University/Sparrow Hospital in East Lansing. Prior to joining Bon Secours, Dr. McHugh was a clinical instructor for Michigan State University College of Osteopathic Medicine. In addition, he has served in the Michigan Army National Guard as a Flight Surgeon and Medical Review Officer as well as supervising physician with the 51st Weapons of Mass Destruction Civil Support Team in Augusta, Mich. He currently serves as a medical director for Bon Secours Sports Medicine and In Motion Physical Therapy and Sports Performance. His duties include providing care and event coverage to local high school athletes as well as providing medical coverage and oversight to local mass participation events in the Hampton Roads area. Dr. McHugh is a member of the American Osteopathic Association, the American Osteopathic Association of Sports Medicine, the American College of Osteopathic Family Physicians, the American Medical Society for Sports Medicine, the American Association of Family Physicians, and the American Medical Association. He is also a Certified ImPACT Consultant.